Vinyl Liner King is the one to contact for your swimming pool Vinyl Liner Replacement needs. Since 1966, we have served the Dallas Metropolitan area, and remain the Leader in providing custom made Vinyl Liners and Professional Installation for in-ground swimming pools. We can provide thorough service that will have your pool ready when your liner is replaced. Professional and Prompt Vinyl Liner Replacement service for In-Ground Swimming Pools. 100% Satisfaction Guarantee on all Workmanship. 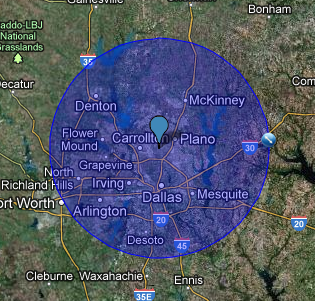 A Large Service Area for Vinyl Liner Replacements; we serve more than just the Dallas area. Insured with Liability and Working Mans Compensation. Please call 972-285-6817 for details.